What Type of Financial Planner do Millennials Want? It is always important to remember that not all clients behave the same, and different groups or individuals prefer a different financial planning approach. In a recent article published by USA today, Charisse Jones explored what Millennials are looking for in a financial planner. Millennials are a group that is likely to have several jobs over the course of their lifetimes, they are more likely to rent than to own, and are used to getting instant answers with a click of a button. Some of their challenges include a staggering amount of student debt, as well as difficulty finding a job or boosting their salaries. This group prefers to work with those who understand their generation. Millennials like to think of their financial planner as more of a "personal trainer" guiding them to financial health, teaching them to use money as a tool to live a life they love. They have a different way of absorbing information and require more of a collaborative approach. Millennials ultimately want the same as previous generations - a planner who understand what they want and where they are coming from. Right now, the Financial Advisory Business is booming, but that may not be the case for long. In 5-10 years, wealth will be transferred to a younger generation, and an analysis recently delivered by Pershing officials reveals that this transition may not go smoothly. “Since 2007, a broker-dealer has been going out of business every two days,” said Jim Crowley, Pershing chief relationship manager. But why? Crowley claims that 70% of advisors today “are ineffective in communicating their value proposition.” Financial advisors are needed now more than ever, but younger generations do not seem to be interested in those services. Ron DeCicco, chief executive of Pershing said that currently, most financial advisory firms are ineffective in communicating in the language of the younger generation, and urges them to begin hiring at a younger age bracket. Read the full article from FA-Mag. Being “hacked” is something that we are constantly hearing about in the news. Whether it’s leaked celebrity photos or credit card information being compromised from a large chain, this phenomenon continues to be on the rise. What we don’t hear as much about on the news, however, is small businesses or individual’s information being hacked. Better passwords. It is important to make sure that everything used for the business is encrypted, from laptops to cell phones to iPads. These passwords should be complex to be most effective. Safe Emailing. Be very careful about what attachments you open, and make sure that you know the sender. Phone Wipeout. In the event that your phone, tablet, laptop, or other device with sensitive data is stolen, make sure that you know how to wipe it so that the information on it is kept secure. See more about protecting yourself from hackers here. The CFP Board has now transitioned to a computer-based CFP® Exam, beginning in November 2014. In order to help make this transition seamless, we have compiled some of the FAQ’s regarding this new exam format. Can I take the computer-based CFP® exam on my computer at home or at work? No. CFP Board’s computer-based exams are only offered in secure, proctored testing centers. This provides every candidate with a professional, consistent testing environment. Aside from a pass/fail score, what information will I receive with my exam results? Candidates receive preliminary pass/fail exam results upon completion of the exam at the testing site. Candidates who do not pass, additionally receive a diagnostic report of their exam performance across the Principal Topics, with indications of relative strengths and weaknesses. Official exam results will be provided approximately 3 weeks following the close of the testing window to confirm official results. If I fail the exam, can I take it again? Yes, but not during the same testing window. You must wait until the next testing window to retest. CFP Board’s exam retake limits also apply. See more FAQs on cfp.net. He set up at least two different trusts. Williams had $25 million in real estate equity, and made sure that it would be well taken care of by setting up trusts to own these valuable pieces of real estate. He named his beneficiaries. Williams named his three children as his beneficiaries, splitting their trust funds into three equal distributions that are set to pay out when they reach specified ages. He had a contingency plan. Although he can no longer be there to provide for his family, ongoing royalties, earnings from new deals over his image and likeness, and future releases of his comedy material will be managed through his estate. While his estate plan was extremely specialized due to his celebrity status and assets, it is a good reminder of the importance of estate planning. 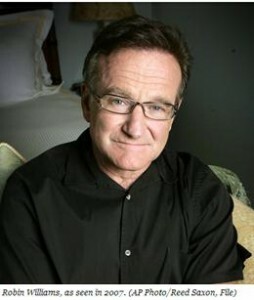 Now Williams’ family will be able to concentrate on mourning his loss rather than having to deal with the stress of complications with his estate. For full article from Forbes, please click here. Choose an individual program below or COMPARE ALL. Boston UniversityThis program is one of the oldest CFP® Certification Programs, and has been ranked as a top program for four years in a row. Kaplan UniversityThis is one of the most expensive online CFP® Certification Programs, but the high-quality faculty are all CFP® Certified. Texas A&M UniversityThis program is the least flexible. It offers both in-class and online courses, but not every course is available in person, and there is no self-paced option. of Financial ServicesThis CFP® Certification program has a pretty good reputation and a high price point, although it is unclear if all of their faculty are CFP® Certified. This site was created to help compare top CFP ® courses and help users navigate the differences between the best CFP ® programs. All information about these online CFP ® programs was gathered from available public information. Consult the financial planning institution if you have questions.